There currently are no tests that can definitively diagnose Parkinson’s Disease. A diagnosis is based on the clinical findings of your physician in combination with your report on the symptoms you are experiencing. In situations where an older person presents with the typical features of Parkinson’s and they are responsive to dopamine replacement therapy, there is unlikely to be any benefit to further investigation or imaging. One of the more common tests done during a neurologic workup is an MRI scan and one may think that in the investigation of a disease that affects the brain such as Parkinson’s, this imaging test would be a necessity. In the context of Parkinson’s disease, however, an MRI is not particularly helpful. It looks at the structure of the brain which for all intensive purposes, appears normal in this disease. An MRI may, however, be indicated when symptoms appear in younger people (less than 55 years) or if the clinical picture or the progression of symptoms is not typical for Parkinson’s. 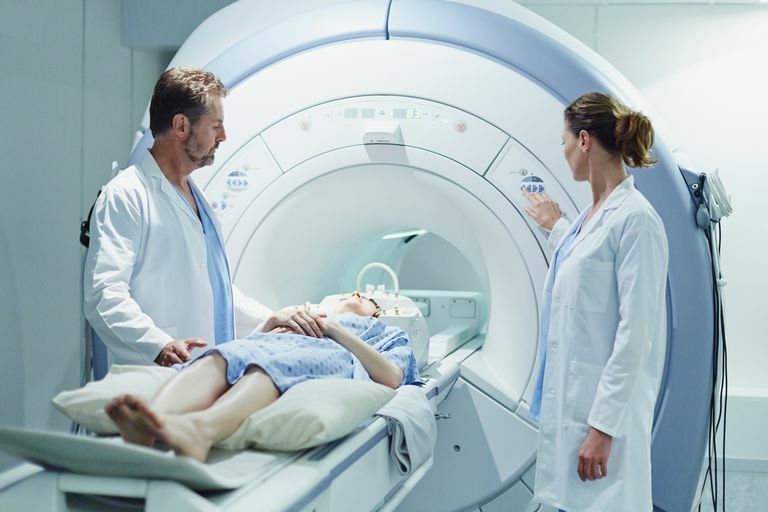 In these situations, MRI can be used to rule out other disorders such as stroke, tumors, hydrocephalus (swelling in the brain) and Wilson’s Disease (a disease resulting from copper accumulation that can cause tremors in younger individuals). Specialized imaging such as PET scans and DaTscans are more “functional” in nature. While an MRI is directed at imaging the anatomy of the brain, these scans give us information on how the brain is functioning. DaTscans use an injected agent that basically highlights dopamine-producing nerve cells by binding to them. A special camera allows the concentration of the imaging agent to be seen. The more agent detected binding in certain areas of the brain, the higher the density of dopamine-producing nerve cells or neurons and therefore, the higher the dopamine level itself. In diseases involving abnormal dopamine levels such as Parkinson’s, there will be less dopamine activity visible. Although this can be helpful in differentiating between brains affected by Parkinson’s and say, essential tremor where dopamine levels are normal, it doesn’t help to distinguish Parkinson's from other parkinsonisms such as multiple system atrophy or progressive supranuclear palsy. PET scans also provide information on brain functioning and can help identify different neurodegenerative disorders such as Parkinson’s disease. But unlike DaTscans, they do so by looking at how the brain uses glucose. Specific patterns of glucose usage are typical for different disorders. PET scans, however, are used more in the research field than the clinical realm. The bottom line is that unlike other disease states such as high blood pressure or diabetes, we don’t have a definitive diagnostic test for Parkinson’s Disease. Even though imaging may help clinicians to confirm a Parkinsonism diagnosis when there is suspicion of another cause, it cannot distinguish Parkinson’s disease from other causes of parkinsonism. Ultimately, these imaging techniques are only useful in the context of an experienced physician’s clinical assessment and only in select cases, will it affect management. Hopefully, this lack of objective evidence will change in the near future, with the prospect of biomarkers changing how we diagnose and treat this disease. Hauser, Robert A., MD. "Parkinson Disease." Parkinson Disease. Medscape, 21 Jan. 2014. Web. 27 Feb. 2014. Okun, Michael S., MD. "Should I Get a DaTscan or PET Scan to Confirm My Diagnosis of Parkinson's Disease?" National Parkinson Foundation -. National Parkinson Foundation, 1 Feb. 2011. Web. 26 Feb. 2014. Zhang, Linyuan, MD, and Jun Liu, MD. "The Role of Neuroimaging in the Diagnosis of Parkinson’s Disease." International Journal of Integrative Medicine 1.11 (2013): 1-5. Intech. Web. 26 Feb. 2014.